By this point, everyone in town should be pretty aware that R. Stevie Moore is back in Nashville and he’s back at work recording a new record. He just did a special 2-hour set the other night on WRVU that you can still listen to here, and he’s playing a special performance tonight opening for Deerhoof at the Mercy Lounge, and he’s got a new documentary coming out soon [the trailer can be seen here] But let’s go back to the record thing. 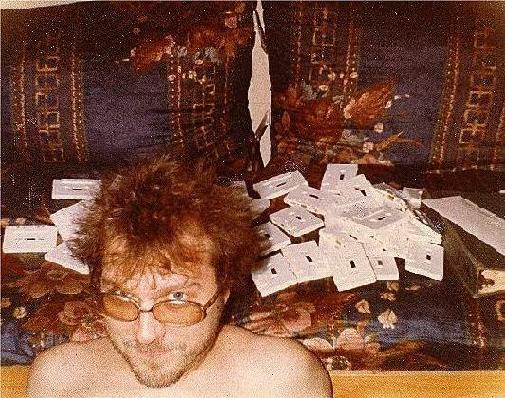 R. Stevie Moore’s been making some of the most prolific and important DIY pop songs of the last 40 years, and now he’s working on a new one that could use your help. He’s teamed up with Kickstarter to try and raise the money to put it out, and there’s only a week left to get him the money he needs. Your contributions won’t go unrewarded though, just watch this video and see all the great things Mr. Moore’s got to offer you. And then watch the video after the click to see one of the greatest on-air television performances ever. Uh huh. Our favorites over at WFMU made a post about this today also and have a few free tracks for you, so hit that up. For only $2,000 — we could get R. Stevie Moore at Glenn Danzig’s House. Who’s down?